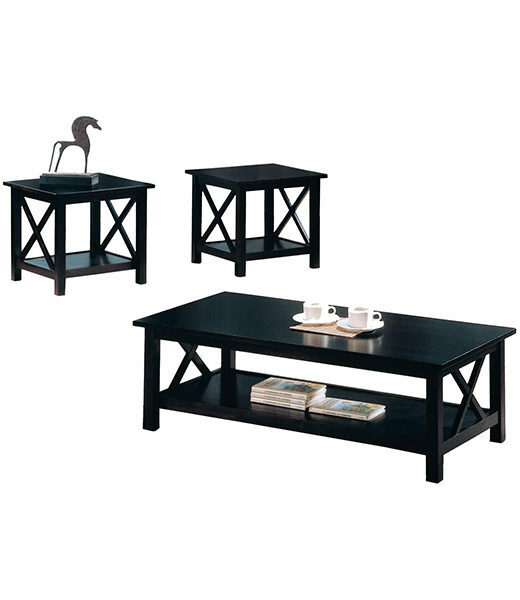 Occasional table set includes a coffee table and two end tables. 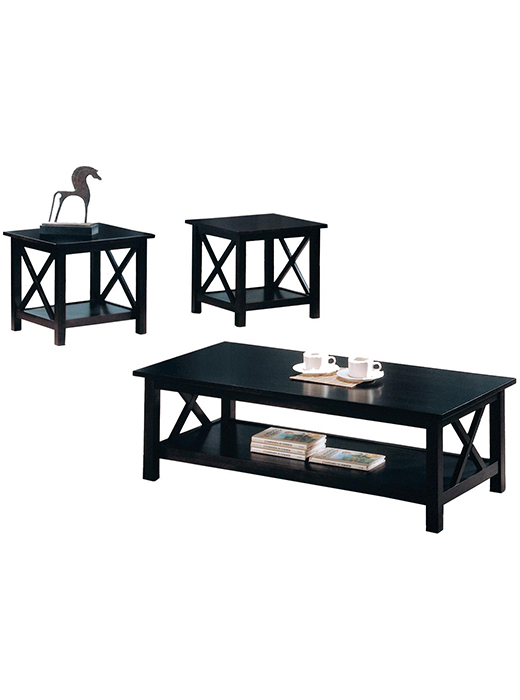 Occasional table set includes a coffee table and two end tables. The simple and stylish tables will help you quickly transform your casual living room into a warm and inviting space where friends and family can relax. The rectangular cocktail table features a smooth top with straight edges, and sleek square legs. An “X” motif on each side creates a fresh look, with a spacious lower shelf that is ideal for coffee table books and magazines. The two matching end tables have square tops with another lower shelf on each table.